I’ve started playing around with electronics and microprocessors recently. 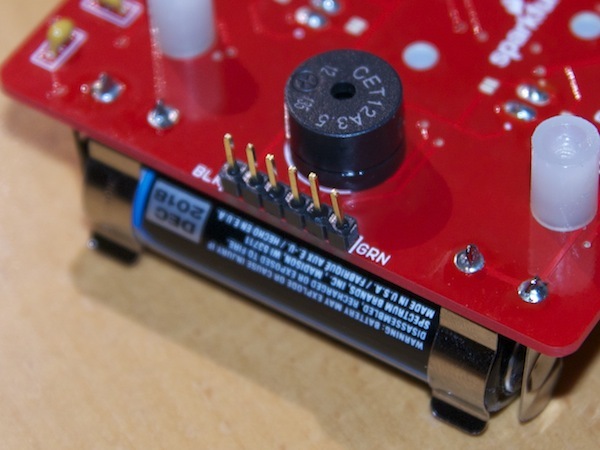 My first soldering project was Sparkfun’s Simon Says game – pretty fun and just the right thing in order to get some soldering experience. 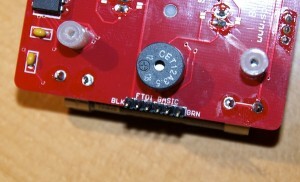 First I soldered a 6 pins male header into the board’s FTDI Basic interface. Then I got Sparkfun’s USB to FTDI connection cable with 3.3V and attached it to the game board (black wire goes to BLK…) on the one side and to my Mac on the other side. 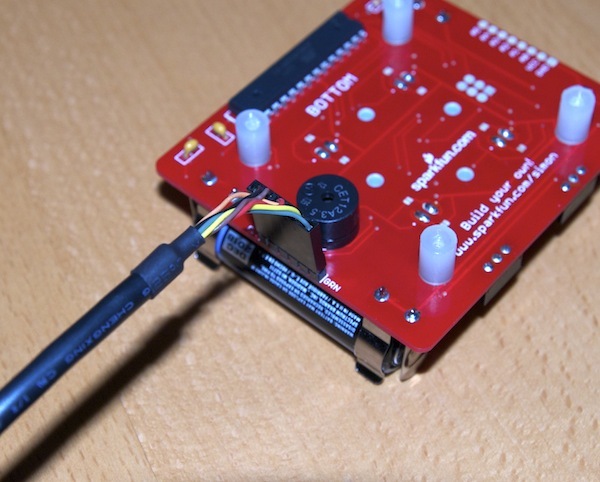 Configuration on the Mac works pretty much as described in this Sparkfun tutorial. I already had the Arduino IDE installed and just had to set the board type to Lilypad /w ATmega328. The one thing that was missing now was a driver for this FTDI interface. I got it from http://www.ftdichip.com/Drivers/VCP.htm where I downloaded version 2.2.18 for Mac OS X / x64 (64-bit). Opened the downloaded image file and installed the contained package and that’s it. Now I had the new option /dev/tty.usbserial-AE01A70D available under Tools->Serial Port in the Arduino IDE. Selected that one and uploaded a sketch successfully to the board. The first sketch I uploaded onto my Simon Says game was the “NibbleSynth” program that I found on this blog: http://typorrhea.wordpress.com/2011/10/08/sparkfun-simon-says-nibblesynth/. It worked and is pretty fun to play around with! Thanks for sharing it. Note: When loading a sketch on the Simon Says board, you’ll overwrite the original program. You get the game code from Sparkfun’s tutorial page, however, this will not include the hidden easter egg that was on the chip initially (it played a funny melody when holding a button while powering it on). This entry was posted on Friday, December 14th, 2012 at 7:32 pm	and is filed under Electronics, Programming. You can follow any responses to this entry through the RSS 2.0 feed. Both comments and pings are currently closed.